Transporting event attendees into a truly immersive world is possible, and often pricey. An experienced audio-visual production partner can help event planners navigate common pitfalls to produce an event that delights the senses and delivers an impactful message without breaking the bank. Key to the immersive event planning process is having a partner who can meet the goals of budgets, planning and event production delivery, while bringing the larger objectives of the event to life in an almost magical and memorable experience. Working together to question objectives, define and consider various mediums, execute flawlessly and measure outcomes builds a meaningful partnership with strengths you can build on from event to event. What is your event’s message and what does an attendee have to experience to understand the product, perspective or call to action? Are you selling a product attendees can buy, or motivating others to sell something? Do you have an action you want attendees to take as a result of this event? Is there a piece of information that you want to make crystal clear for visual and auditory learners alike? Getting focused on your event objective will help you make beneficial decisions throughout the planning process. How much technology is appropriate for your audience and who can deliver that effectively? Virtual and augmented reality or gamification can make a huge impact when used well – they may or may not be the right vehicle for your message. Video and music certainly have an ability to convey story elements, as do performances or demonstrations. Be wary if AV and production providers seem focused on trying to get you to tap into the latest trend. 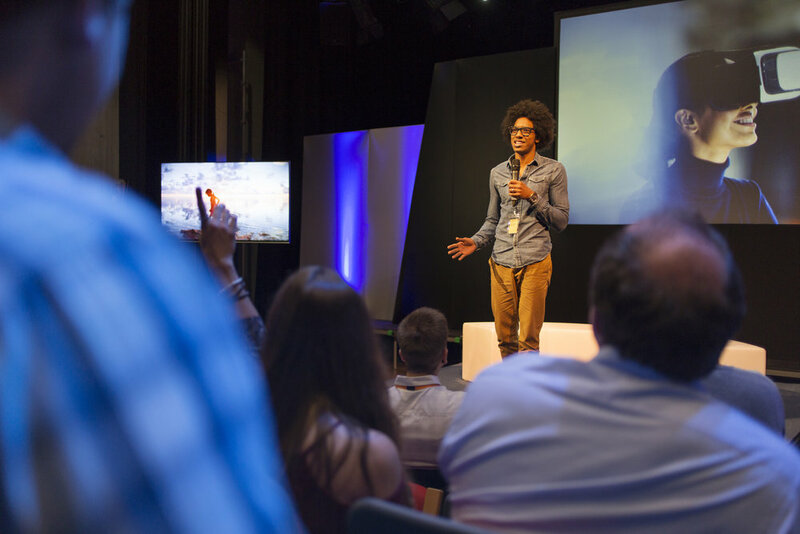 Sometimes, well thought out solutions to improve an attendee’s experience may not involve technology at all. Immersive experience happens in the details. How can this event permeate all of the senses? What should attendees wear and hear? What should they taste and see and feel? What elevation or perspective is best? Should they be comfortable, or uncomfortable? What kind of preparation do they need if any to be present in the event – and what triggers could be used in follow up to recreate that emotion and engage a call to action? Immersive events require a personal experience in a group setting. How can you make the message more personal? How well do you know your audience and what is important to them in regard to your central objective? Is there information from your audience that would be helpful to have in advance of the event, such as how important is eating organic or how would they best like to be remembered in their legacy? Capturing attention in our busy world is a huge undertaking. Getting an event attendee through the door is only half of the equation. Engaging that person, at a human level, regardless of their title or role is what makes an immersive event experience meaningful and an event objective achieved. The right production supplier will act as a co-questioner, idea generator, execution expert, and post event evaluator -elevating their role to a true partnership in the eyes of the immersive event planner. For more ideas on finding the right supplier partners click here.